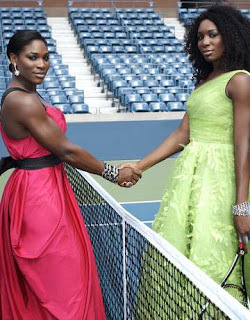 two buppie chicks: Venus and Serena: Fabulous. I love these two women, not only b/c they rule the tennis courts, but also because they rule it by their own set of rules! 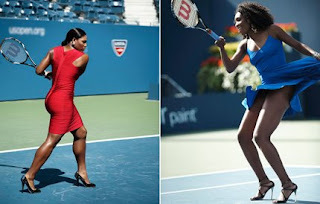 I love how they go against the grain with fashion in tennis - and it looks like Harper's Bazaar agrees! Check the pics! These are 2 amazing women! That was a clever shoot. This is a hot little photo shoot right chere. LOL! The top photo is the best I've ever seen them look. Get it!